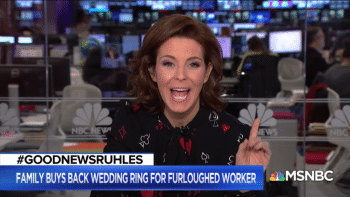 However, in the worsening economic climate, a growing number of these supposedly “uplifting” stories become unintentionally horrifying after a moment’s reflection. A case in point is the New York Times’recent article (3/16/19) about Tanitoluwa Adewumi, a homeless 8-year-old New York chess champion—a story, the headline assures, will “make you smile.” The Times details Adewumi’s refugee background, his personal drive and his aggressive playing style, but neither it nor the many other outlets (USA Today, 3/19/19; NBC New York, 3/19/19; London Independent, 3/17/19) that also picked up the story pondered how it was possible for a child in one of the richest cities in the world to be homeless, and what that said about an economic and political system that allows this in the first place. Good news! 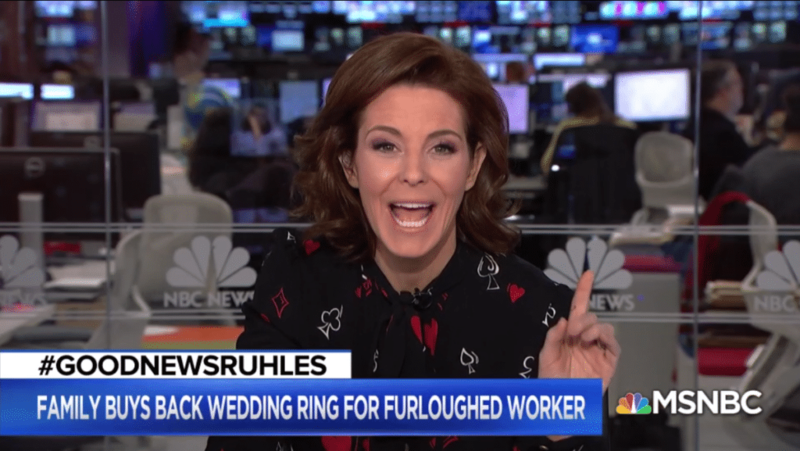 Government workers were so impoverished by the government shutdown that they were forced to sell their most treasured possessions (MSNBC, 1/17/19). 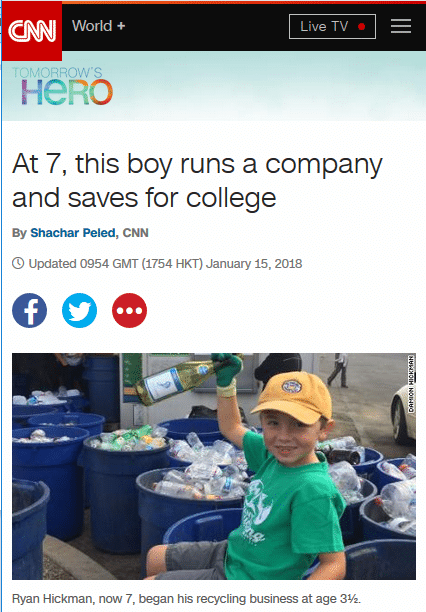 Having raised $11,000 recycling trash since he was a toddler, this seven-year-old will have saved enough to pay for four years of tuition at USC by the time he’s 74 (CNN, 1/15/18). Medical costs are a problem crippling many Americans. Hospital bills are the leading cause of bankruptcy in America, while one-third of all GoFundMe donations are for medical expenses. CBS(9/17/18) shared a supposedly “touching” story about a man who sold his beloved Ford Mustang to pay for his wife’s cancer treatment and how, 12 years later, his children bought it back for him. The twist? The owner sold it back to fund her own mother’s cancer treatment, according to the San Antonio Express News (9/13/18). 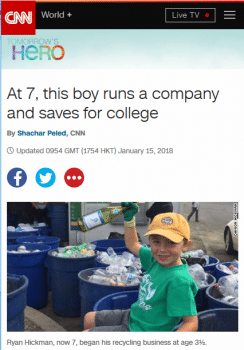 The United States is the only wealthy country where small children have to work to help pay for life-saving medicine for their parents—or where such labor is referred to as a “sweet story” (KTSM, 8/4/18). 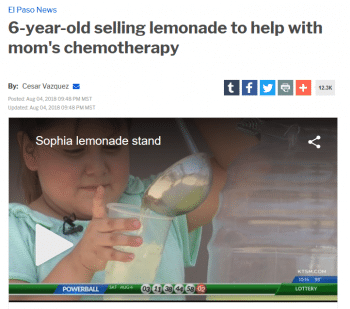 A local KTSM El Paso (8/4/18) anchor smiled as she said, “When life gives you lemons, make lemonade,” informing viewers they were about hear a “sweet story” of a six-year-old girl who set up a lemonade stand to help pay for her mother’s chemotherapy. 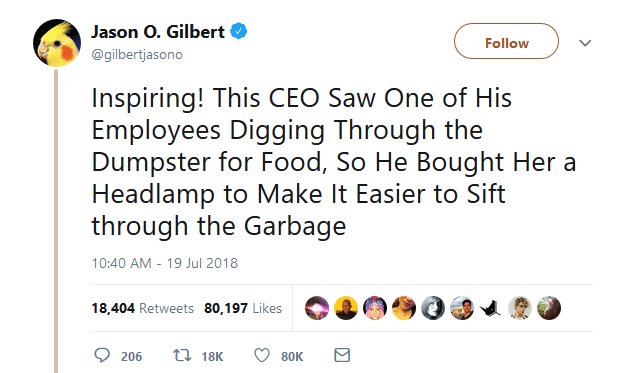 What could possibly be more heartwarming than that? 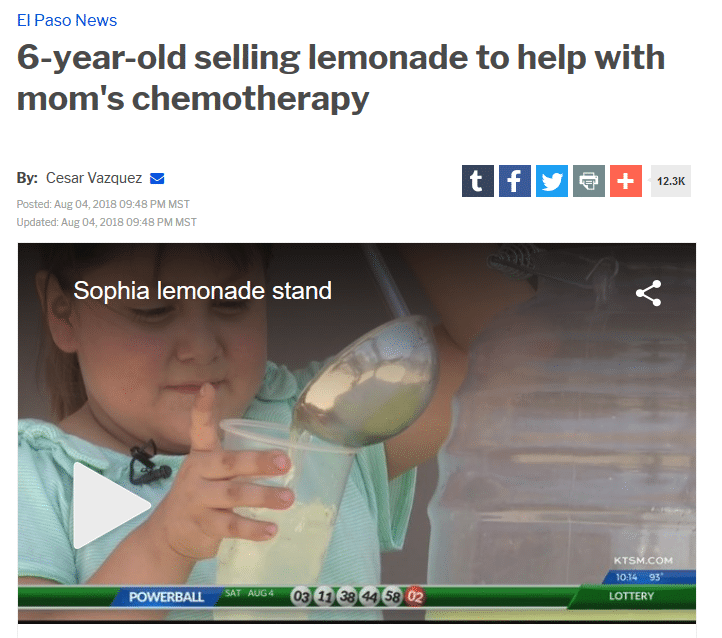 A different six-year-old setting up a lemonade stand to help pay for her ownchemotherapy, whom Fox News (4/29/11) reported on. None of the featured stories explore the fact that if they lived in New Zealand, Norway or Nova Scotia, none of this would be necessary due to free healthcare. Any of these stories could have been used as a gateway to discuss many of the crippling economic and social problems the US is facing. But under neoliberalism, every problem is understood through an individualist lens, and not a result of systemic forces that dominate society. 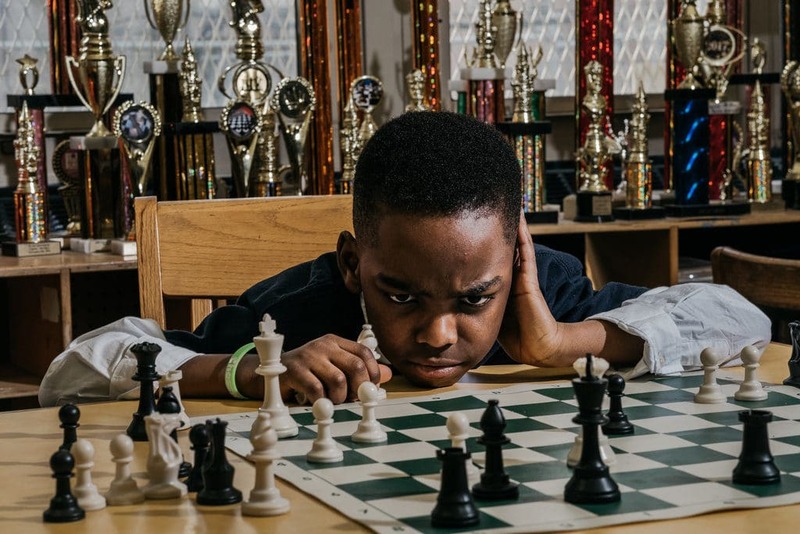 To be clear, there are elements of triumph over adversity or impressive and admirable feats in these stories, but they occur in a neoliberal framework that forces them into these actions, and that framework is never questioned. The fact that the media, unable to look past their own ideological biases, do not explore these most basic issues, instead presenting these stories as human interest pieces, goes to show how engulfed in ideology they really are.